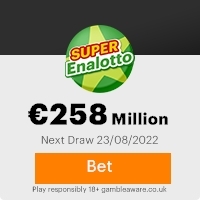 You are one of the lucky winners in the lotto.nl online promotions. Kindly do not have doubt over your participation in this Promotion, as all Participants were selected through an electronic computer ballot system from over 2,500,000 email addresses of individuals and companies world wide. Provide the below information immediately to commence the transfer of your winning. This Email with the Subject "****************** Read Message Index*********************" was received in one of Scamdex's honeypot email accounts on Wed, 11 Apr 2007 17:34:05 -0700 and has been classified as a Generic Scam Email. The sender shows as "angeliano Frenzy" <ang_frz1@excite.com>, although that address was probably spoofed. We recommend that you do not attempt to contact any persons or organizations referenced in this email, as you may expose yourself to scammers and, at the very least, you will be added to their email address lists for spam purposes.